This is one of those events you don’t expect, but always silently hope for. The relationship between Tsukimi and Shuu has always been one of those awkward ones, although it’s hard to say how close they actually want to be. Both of them have far too many boundaries for their getting together to be in any way simple. Keep in mind that Shuu has been mostly single his whole life, and changing that kind of closed off mindset can’t be easy. This hasn’t stopped Hanamori from deciding for himself that the two of them should start going out, which would feel very intrusive if it wasn’t so amazing to hear. In spite of all their problems with closeness, I think getting to go out should be good for the two of them. 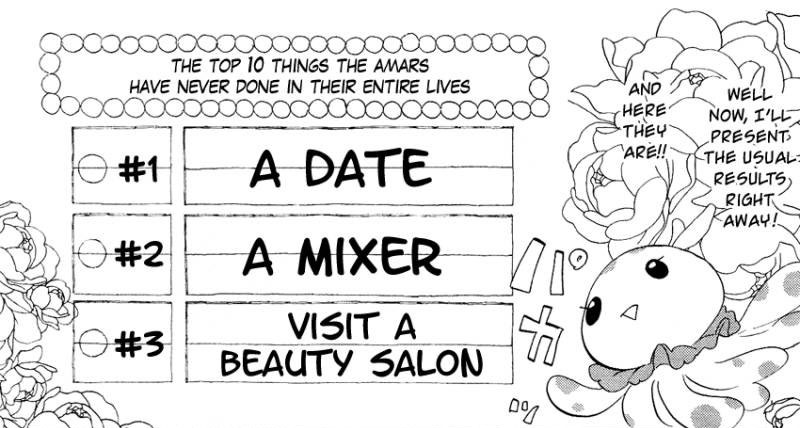 I’ve really gotten to like the characters in romance-themed manga who make it their goal to move the story ahead by force (see also Miyamoto Ruri from Nisekoi). They seem to be the only people who realize that nothing is ever going to change unless someone is willing to move it forward. Even if there’s no guarantee that a date will make things better between the two, simply acting awkward all the time definitely won’t help. So even when I don’t believe the next chapter will have any dynamic changes in their relationship, it’s still important to get them together in whatever way you can. This way they might finally be able to move past this phase and into something a little closer. The only thing that made me apprehensive about the two going out was Tsukimi herself. Between Hanamori, Kuranosuke and the fashion designer whose name escapes me, she didn’t get a whole lot of say in things. It was clear by the end of the chapter how nervous and completely scared she was at the thought of going out with anyone. Usually we get these thoughts shown through having the girls turn to stone – or turn to sand earlier in this chapter – but by the end that comedic aspect was taken away so we could see how serious she was. But even as I look at her face and wish she could feel better, this kind of experience is something she’s going to have to face at some point. The story can’t simply end with her magically overcoming her fears and leaping into someone’s arms, after all. I’ve openly admitted to not being much of a shipper, but of those few pairings I do support, this series has two of the biggest ones. The problem is they both include the same girl. So in addition to these two having a hard time going out together and Kuranosuke having a hard time thinking about it, I may have a hard time seeing them get closer because the two pairs will be at war in my own head. But again, this is something we’ll have to experience because even if Kuranosuke does win in the end, it will be these experiences that allow it to happen. Maybe we can take solace in the fact that the date probably won’t end in anything too intimate, no matter what Hanamori thinks. 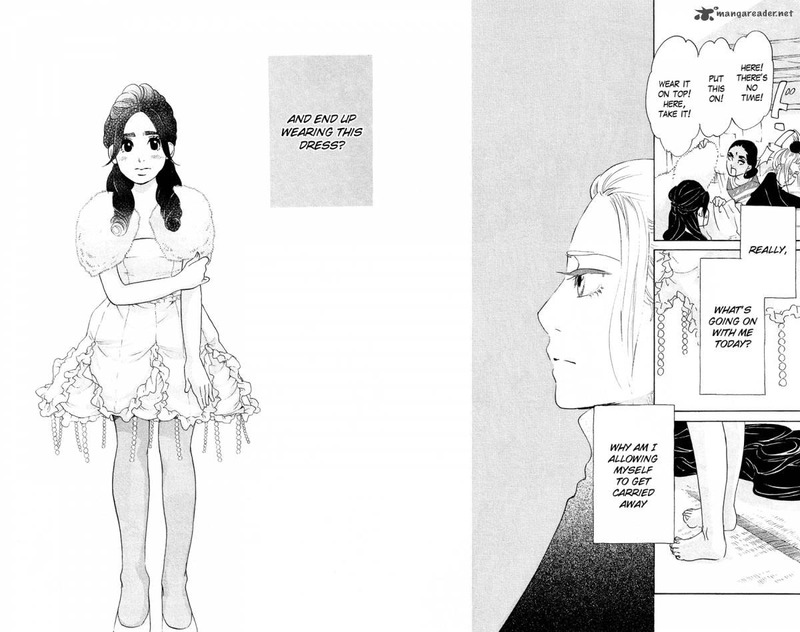 Posted on May 13, 2012, in Chapter Discussions, Josei, Princess Jellyfish and tagged dating, josei, Kuragehime, manga, Princess Jellyfish, Shuu, Tsukimi. Bookmark the permalink. 2 Comments. I am interested in reading the Kuragehimne manga, (the show being in my top 5) do you happen to know what chapter follows on from where the anime left off? I believe the new material starts around chapter 21-22. It’s a little complicated, though, since I remember some segments from the anime finish after others.